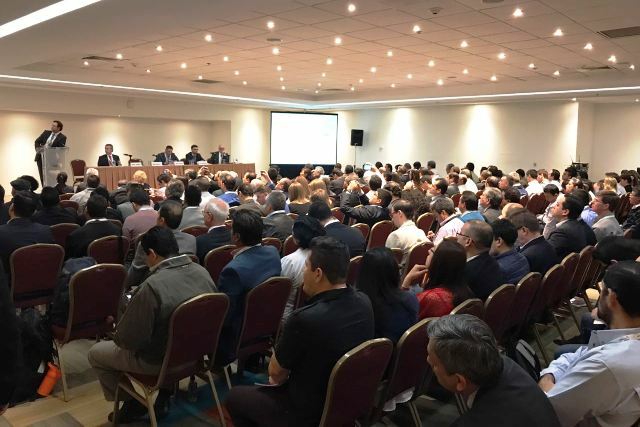 The organization of AltFuels Mexico 2018, taking place on 23-26 April at the World Trade Center of Mexico City, invites industry actors and institutions to take part in the Conferences of the event and to send an abstract of a presentation that will be included in one of the sessions. These topics will include the following applications: cars, pick-ups, buses, heavy trucks, urban transport, ships, trains, industry, mining, shale gas and power generation. Backed by an Exposition, AltFuels Mexico 2018 is a must-see event for members of the natural gas and alternative fuel industry, policy makers, contractors, fleet operators, fuel suppliers, equipment manufacturers, organizations and government agencies, financial institutions, security and standard specialists, energy consultants, technology providers, and local and foreign investors. Abstracts can be submitted on any of the topics mentioned above. The documents should contain the selected topic, title and presentation summary, as well as the speaker’s full name, photo, position, organization and contact details. For submissions and inquiries about presentations, please send an email to info@altfuelscg.com.